The Detroit Free Press reports that the City of Detroit could file for chapter 9 bankruptcy protection as soon as tomorrow. Kevyn Orr, emergency manager for the City of Detroit, is reportedly preparing the appropriate documents to begin the such a filing. While bankruptcy is never an ideal solution, I'm glad to see that Kevyn Orr is moving forward with this. There is, unfortunately, no realistic chance that the City of Detroit will be able to stabilize its finances outside of bankruptcy. With that being the case, the simple fact remaining is that the sooner Detroit goes into bankruptcy, the sooner it can emerge from it. 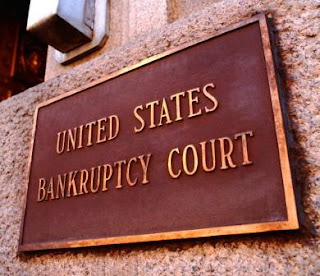 WDIV-TV is reporting that the City of Detroit actually filed for chapter 9 bankruptcy protection today. USA Today is confirming that the City of Detroit has already filed for chapter 9 bankruptcy protection. All of this means that Jennifer Kochan has won this blog's "Guess the Filing Date" contest. She will receive a free lunch at the Warrendale restaurant of her choice. Governor Rick Snyder released a statement this afternoon in which he explained his rationale for approving Kevyn Orr's request to allow the City of Detroit to file for a Chapter 9 bankruptcy. This statement is available on-line here. Ms. Kochan has decided to donate her prize to a veteran. If there are any veterans who would like to join me for lunch (or dinner) at Gracie See Pizzeria, please leave a comment below.